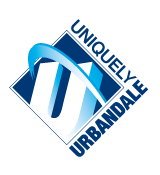 The Urbandale Human Resources Department serves the Urbandale Community School District by creating effective relationships, systems, procedures, and learning opportunities that enhance the performance of our staff members. From administering personnel functions to improving the quality of instruction, the Human Resource Department exists ultimately to support student achievement through quality educational experiences. Access the board approved handbook here. Access a YouTube video about creating a Teacher ePortfolio here. All employee forms and handbooks can be found on the Employee Portal. If you’re interested in employment opportunities within the UCSD, please visit our Employment page. If you’re interested in substitute opportunities within the UCSD, please visit our Substitutes page.